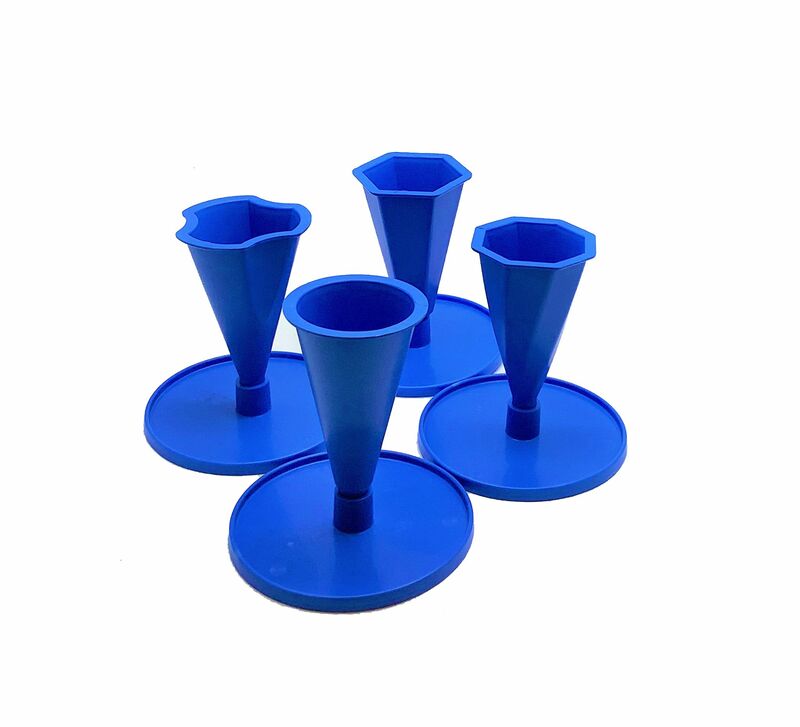 Designed and manufactured here on site by our parent company Linic Plastics. 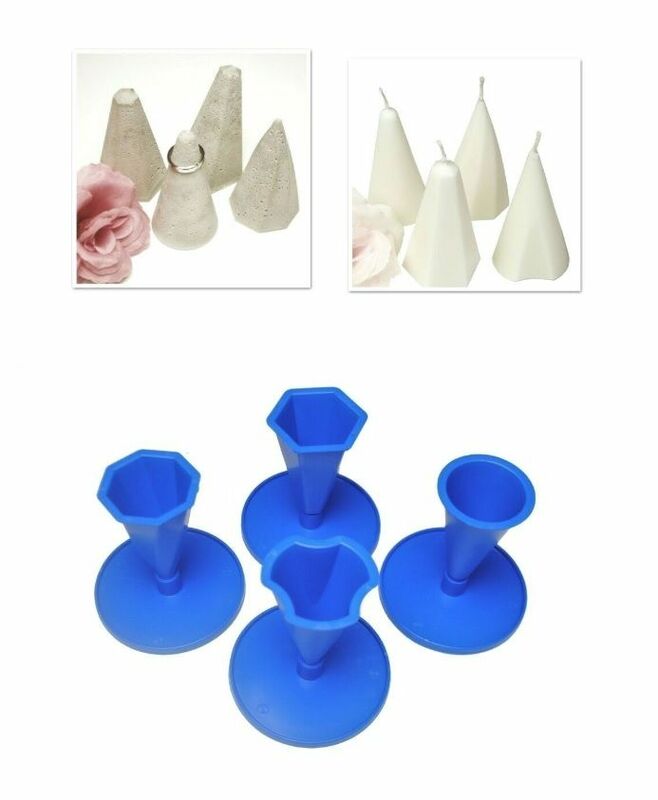 Set of 4 plastic moulds for use with resin, concrete or candle wax. 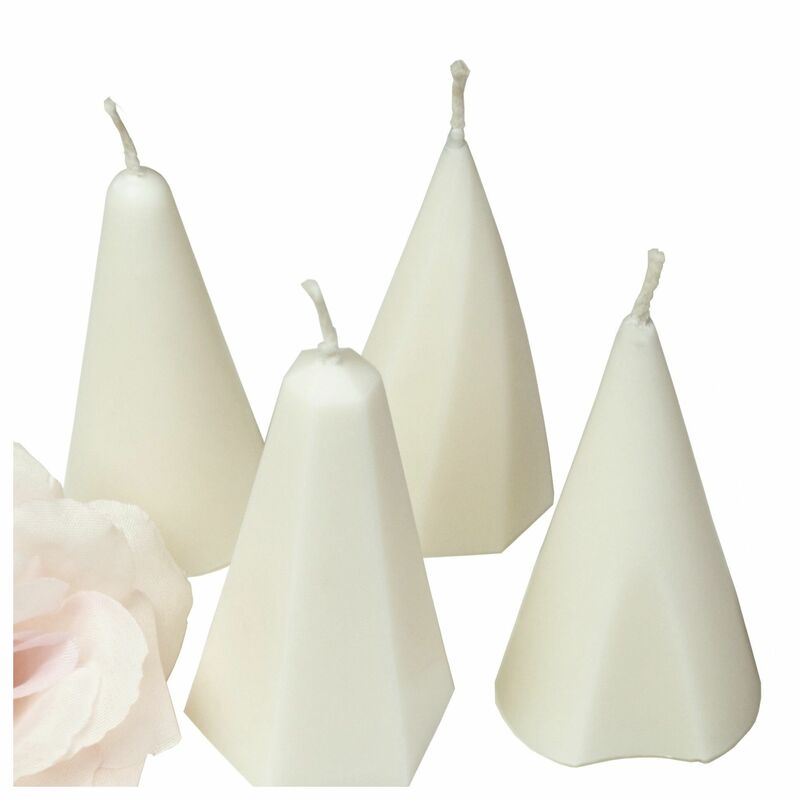 They can be used as candle moulds by puncturing a small hole in end for the wick. 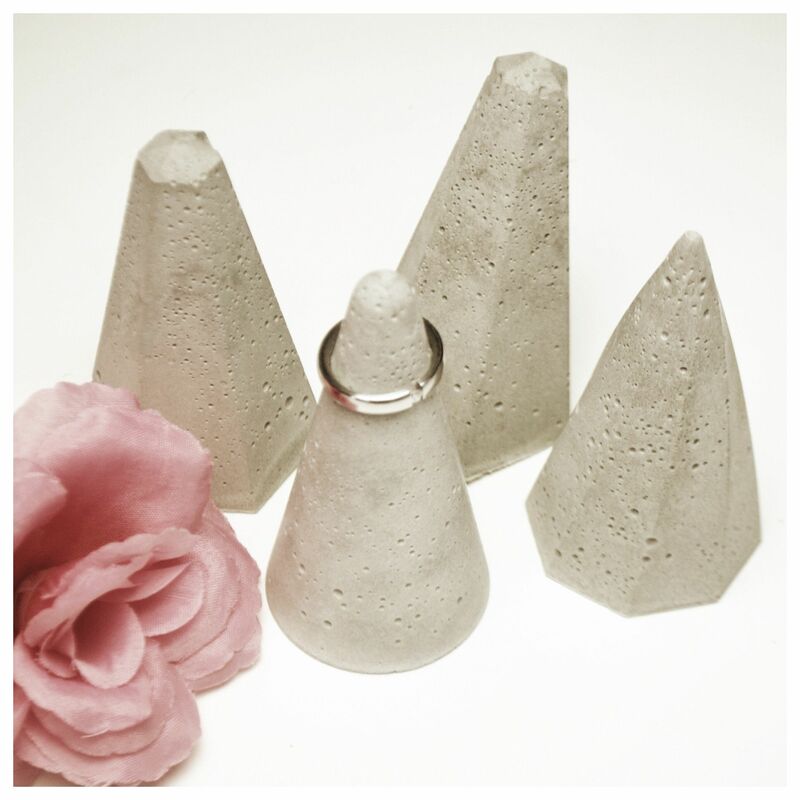 Perfect shape for use as ring holders.